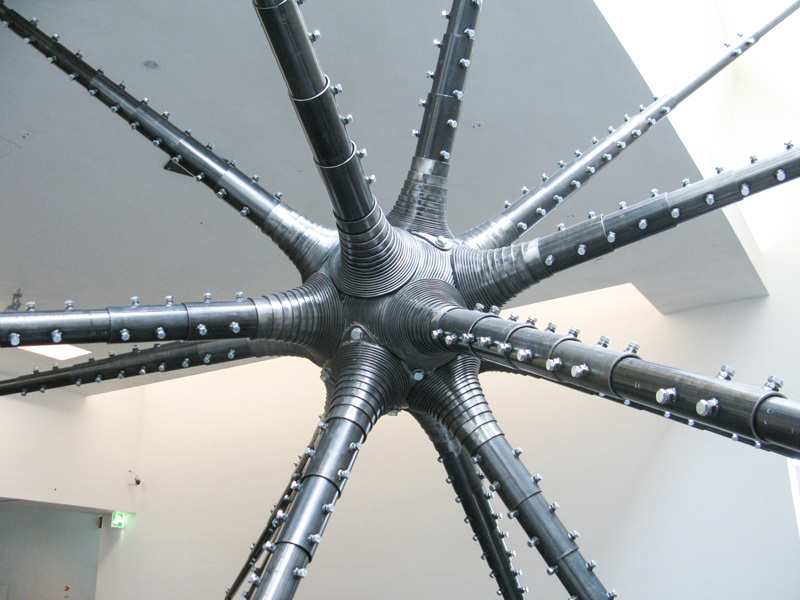 The Expander (2004) by Kimmo Schroderus. This sculpture is adjustable so it always looks different depending on the space. For some reason it made think about that animated movie from the 90’s, The Iron Giant!